The tea olive Osmanthus fragrans is a wonderfully aromatic plant, particularly when its scent is captured by the evening breeze. I have been stopped in my tracks upon detecting this olfactory ambrosia in the air. What amazes me is that some people cannot smell it at all or only can detect the slightest ghost of a scent. Each of us has a unique olfactory repertoire that is genetically controlled and reflects an evolutionary heritage. In my family, my father and I can smell the tea olive but my mother cannot, nor can my boyfriend. My mother and boyfriend have genetic histories tied to the British Isles on both sides of their families across multiple generations. So, while I share in this heritage via my mother, I also share my father’s genetic heritage, which is half Croatian. He and I share certain physical traits that are sometimes associated more with Asian populations. This reflects the fact that Eastern and Central Europe were part of a geo-genetic pathway between Asia and western Europe in recent human evolution (circa 100,000-45,000 years ago). 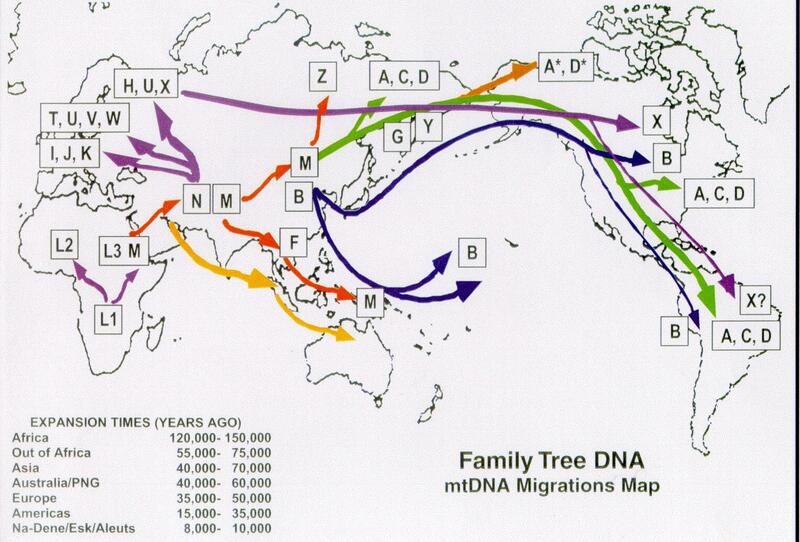 For a few genetic maps, see here and here. How does this relate to the tea olive? Well, its origins are Asian. In China it has been cultivated for thousands of years and the varieties there are far more aromatic than the ones we find in the US today. If our olfactory repertoires are the product of continuous adaptation to the environment, we can assume that specific odors are more powerful to some than to others by sheer nature of evolutionary heritage. Thus, if Asian populations exploited the tea olive as a resource throughout recent evolution, the ability to detect the tea olive via olfactory pathways would increase via selection for more receptors that detect this particular molecule. In populations other populations, those receptors would not be selected for and would remain at a lower frequency, or be absent altogether. This results in those people having only a minor ability to detect the scent in high concentrations, if at all. For those of us that can detect this scent, Asian heritage or not, we’re lucky to have those receptors! After 40 years, I found out that the tiny flowers’ name with that magnificent aroma is ‘osmanthus fragans’. A scent that accompanied my childhood on the Delta of the Parana River in Buenos Aires. Someone told me there that the name was Oleofraga, thus via Google I found the scientific name. Perhaps my genes, my grandfather being original from Canton, determined that that fragance would surely take me back to the magic days of my childhood.